The instructions for flashing a BeagleBone Black has long been in dire need of an update, and that day has finally come! The etcher.io (Etcher by RESIN.IO) is a beautifully designed app that runs on Linux, Windows and OS X alike and it does one thing: Burn images to SD cards. Since Kamikaze is based on the regular BeagleBone Debian distro, the instructions here should work equally well for anyone wanting to flesh the software on their BegleBones. However, keep in mind that newer versions of BeagleBone Debian distros do not have the flasher script enabled by default and will therefore only run from the microSD card on first boot. The Thing-printer wiki has already been updated with the new burning instructions, but for reference, here are the copy-paste instructions from the video so the one other person using Linux can save an extra click. Windows and OS X users can simply install in the normal manner! The video also shows a quick run through on what to expect when flashing the BeagleBone. It's important to note that the video is cut, and so there will be a significant delay from the first LED light-up until the cylon/night rider patterns starts. Hopefully a new video will come out soon showing the second part of getting started with a run down of how to connect the BeagleBone to your network and showing the first move. There was recently a poll on the Thing printer G+ page, and so documentation is still a priority for many. I am trying to setup Kamikaze on my beaglebone black wireless. However, I am having trouble getting my images to boot off the SD card after flashing. - I am flashing with Etcher, and everything seems to go well there. - When I try to boot, I hold down the boot button and then power on. My LEDs just stay solid (all 4 of them). No change, regardless of how long I hold. - I have tried both the 2.1.0b, and 2.0.8 images. I even verified the download of the 2.1.0b image with the corresponding checksum. 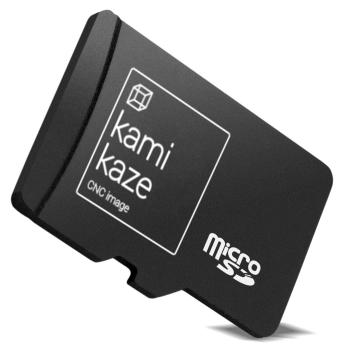 - I have tried using numerous different 4GB SD cards, but still no luck. Hoping you could shed some light on what might be happening. Any advice would be greatly appreciated. BeagleBone Black Wireless is still so new that it has some issues. Your best bet is to get the latest Umikaze that Jon_c makes as a community image. Go to replicape.slack.com and ask in the develop channel! I think I had the same problem with the same platform (BBBW)! Just want to know if you have already solved it. If yes I'd like to know how!